Regarded as one of the best sites to merrily while away the nights in this beach resort area. 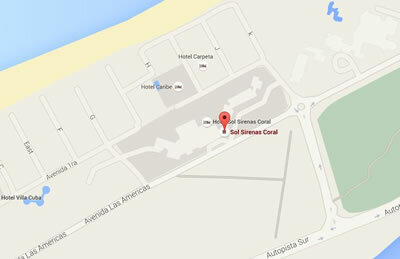 Despite being located inside the premises of the Hotel Sol Sirenas, entry is accessible to any visitor irrespective of being a guest at said hotel. Night after night it offers a varied show with lots of Cuban music and dancing and then in the later hours turns into a discothèque. At those hours, the place’s dance floor can become a bit small given the habitual enthusiasm for dance displayed by clients. 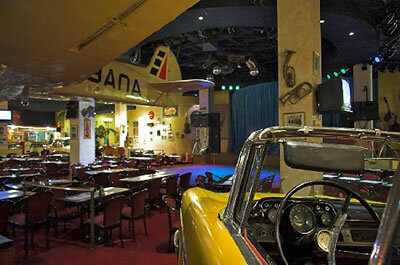 Its good service and singular décor, featuring classic cars from the 40s and 50s of the past century and even life-size replicas of airplanes hanging from the ceiling, are some of the virtues most appreciated by visitors.